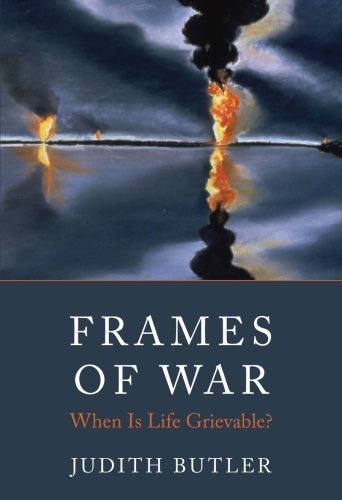 Today I received two really cool books in the mail: Frames of War: When is Life Grievable? 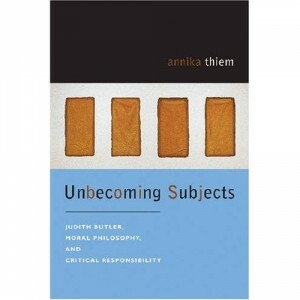 by Judith Butler (and here is her giving a lecture based on it) and Unbecoming Subjects: Judith Butler, Moral Philosophy, and Critical Responsibility by Annika Thiem. While I have been wanting to get Butler’s book for a couple of months now, I had not heard of Thiem’s book until the other day when I was looking on amazon for something else. Excellent. Yet another book that explores the ethical (and moral) implications of Butler’s work. Moral conduct cannot be reduced to what we owe others, to duties and obligations, and also not to VIRTUES, which can have equally restraining effects (1). Oh well, I am still excited to read it and curious to find out how she links Butler’s ethical, political, and moral vision with critique and responsibility. Oh, and as an aside: My wonderful neighborhood mailman retired today after 30 years. He really did give me a great parting gift! Previous Previous post: Queer is? Queer Does? Next Next post: Is Marcia Brady guilty of acting badly* or badly acting or both?